Yesterday, I went to a friend’s house for a day of canning. These are a few of the things we accomplished. 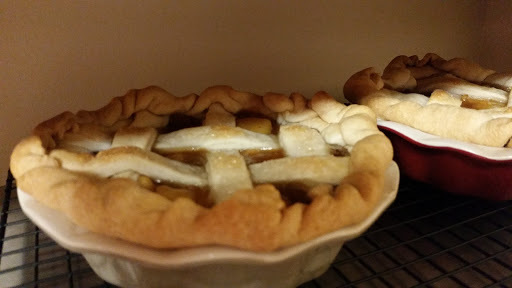 We began with 8 quarts of apple pie filling. We had some filling leftover so Teresa made my oldest daughter and her husband a pie! It was a much needed bright spot in their day. 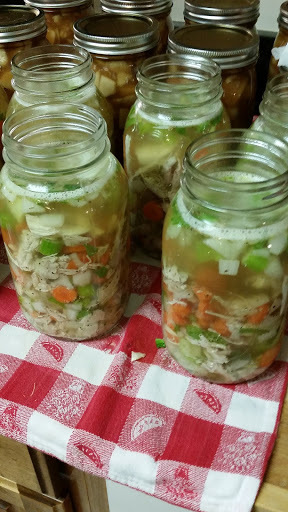 Our next project was chicken soup. 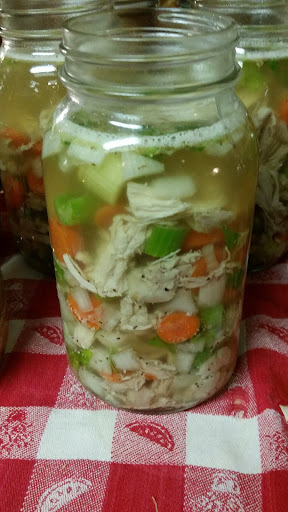 This can be used for chicken noodle, chicken and rice, anything that has chicken soup as a base. We canned 14 quarts of this. 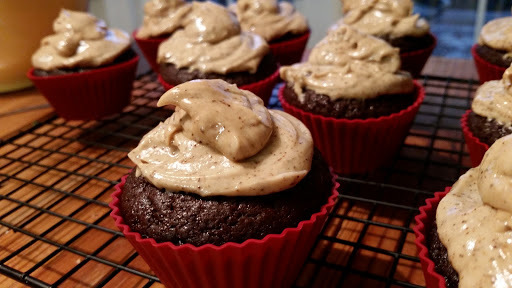 Next, Teresa made these delicious chocolate espresso cupcakes for us! We finished the day with nachos and margaritas. A fun day!